The weight training for women is becoming more popular. Slowly the old prejudices are leaving. By doing weights and resistance exercises, a woman will never lose her femininity or make a body like hulk, only a tight, shapely and fit body. Research shows that women who do weight they gain muscle mass and lose more fat. Also increasing muscle mass makes the metabolism working faster and thus burn more calories. Many women fear that even this minimal muscle mass they can gain with weights will turn into fat if they stop. This is a big myth, muscle mass has nothing to do with fat and there is no way to turn muscle into fat or vice versa. Unlike men, women have far fewer hormones that contribute to muscle hypertrophy, so women do not get this bloating and huge muscle mass as men. Women doing weights will surely gain enough strength, muscle toning, endurance, tremendous energy in your daily life and with all these a good ripped and tight body. 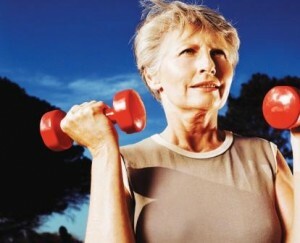 It is never too late to start a woman weight training and resistance exercises. Older women may also benefit. Exercising with weights removes the signs of an aging body. Apart from the strength and all the good that offers a workout with weights, strengthens connective ligaments, the waist and joints, thereby reducing injuries and pains. Women who do weights, strengthens their bones. A good diet containing calcium combined with weight training 2-3 times a week is a very good defense of women for osteoporosis. Exercising with weights improves mood and gives you more confidence. It makes you more alive and cheerful. These are few very important things women need to know about weights. For maximum benefit I recommend you do weights combined with aerobic exercise.